Generally, in astronomy a Full Moon is seen around two weeks after a New Moon, the moon and sun align, creating a full circle glow as the moon is illuminated by sunlight. 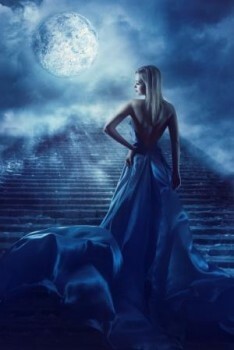 March, is the perfect time to harness the energy that the Full Moon creates. It is also the perfect time to revisit any New Year resolutions you may have made, or goals you set about during a New Moon phase. It is time to think about whether you have made enough positive steps in the right direction to achieve your goals or whether you have skipped a few stages and need to redirect your energies. The Full Moon is not an ideal time to start a new relationship, although often romance will occur in the days leading up to it. Emotions can run high during a Full Moon, causing tension in partnerships. It is a good idea to let the illumination of the Full Moon put a spotlight on your relationship, it can highlight any areas that need work – but leave the sorting out until you are more rational and less emotional. Whilst working on a personal relationship during the Full Moon is not ideal, working on a career problem is just the right time. Changing jobs, signing a new contract, approaching any problems that have been occurring in the workplace should receive a positive outcome, if you take action during this moon phase. You may find that your mood, sleep patterns and dreams are all impacted by the moon phase. Mediation is a powerful way to utilise the Full Moons energy, check in with each of your chakras, and let the moons energy enlighten you and invigorate you for the phases ahead. The Full Moon provides a magical time, and of all the lunar phases it is one of the most powerful. On a spiritual level you should find the Full Moon allows you to connect much more easily and on a deeper level.